Over the past 15 years, a growing number of health systems around the world have built in-house design labs to spur creativity and build innovations that may help transform health for the communities they serve. This presentation will share results from one of the largest studies of healthcare innovation labs to date. Using a qualitative approach including expert interviews, this research explored 17 hospital based design labs seeking to determine the impact they are achieving. The audience will hear how leading healthcare organizations around the world are using design. This includes areas where labs are achieving success, the link between strategy and impact and the changing role of design. It will also highlight areas to focus on when building a design capability in healthcare including enablers and barriers to success. 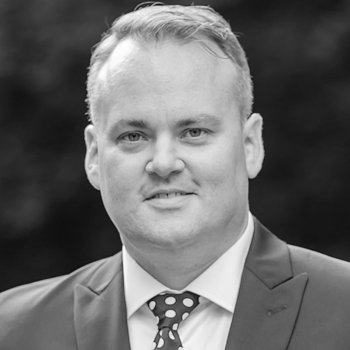 Sean Molloy is the Senior Director of Quality, Safety and Innovation for Providence Healthcare, St. Joseph’s Health Centre and St. Michael's Hospital in Toronto. Sean is an innovation strategist and design thinker currently leading his team through the integration of three large hospitals into a single health network. Sean has extensive leadership experience at the health system level and in healthcare provider organizations. With a background in quality, patient safety and innovation, Sean is passionate about designing a health system that focuses on chronic health for all people in its communities. Sean holds a Master of Design (Strategic Foresight and Innovation) degree from OCAD University in Toronto with a research interest in how health systems are using design for innovation and improvement. Sean is also a graduate of the University of Toronto’s Institute of Health Policy Management and Evaluation (MHSc). He currently holds a Board position at the Hazel Burns Hospice which provides in-home hospice palliative care to vulnerable communities in Central Toronto.